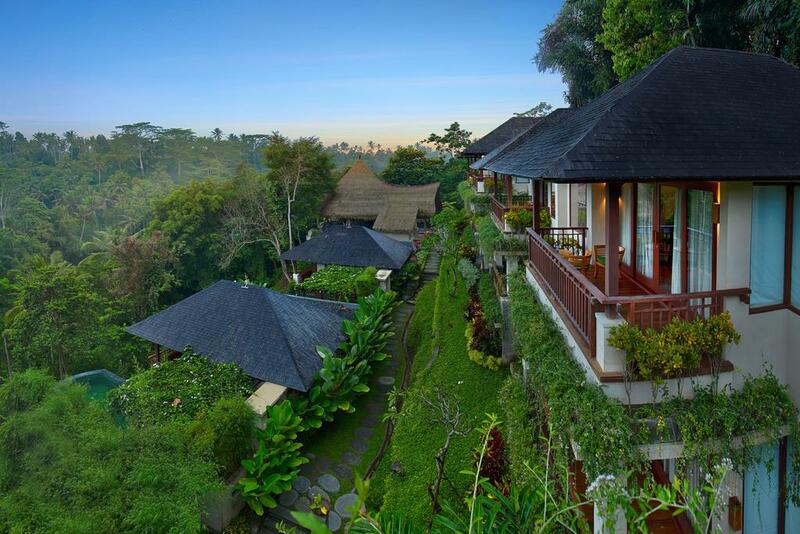 Jannata Resort & Spa Ubud is a boutique property with tranquil valley views in the rural village of Sebali, just outside of Ubud. It is attuned to the surrounding environment through a thoughtful design that respects Bali’s rich artistry and cultural heritage. 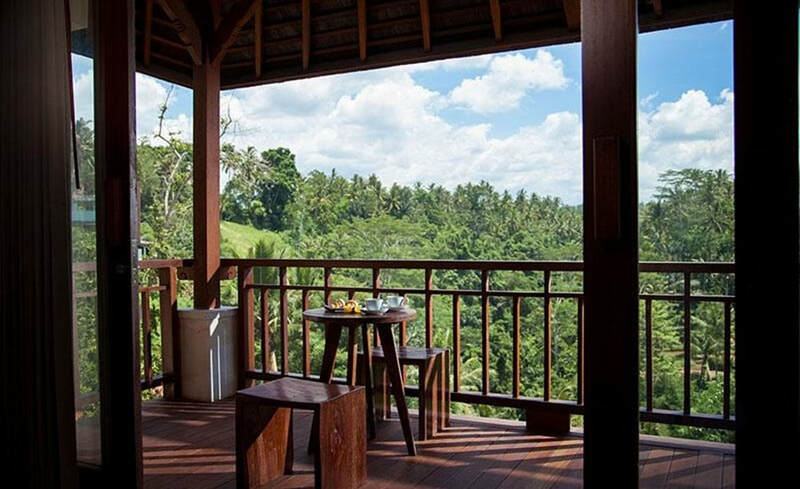 ​Overlooking the rainforest and the Wos River , the Jannata Resort and Spa stands on the edge of a stunning valley, surrounded by lush rainforests and picturesque rice terraces. 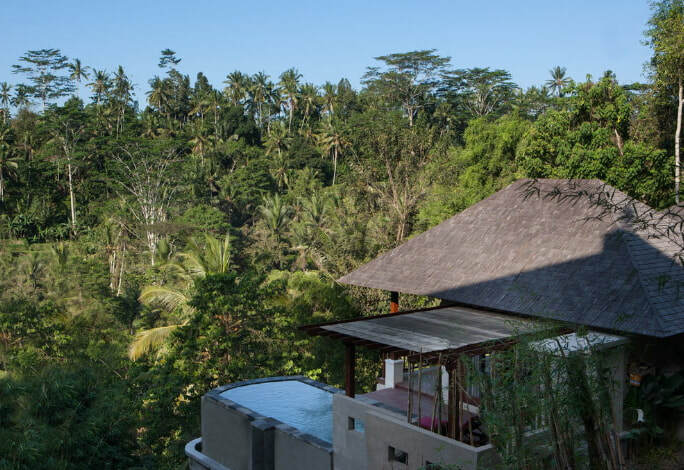 Each villa is designed with the care to complete the harmony with the nature, traditional Alang Alang thatched roofs in complete harmony with nature. Stylish accommodation incorporates a choice of 16 Deluxe Suites to anticipate all of your holiday needs. 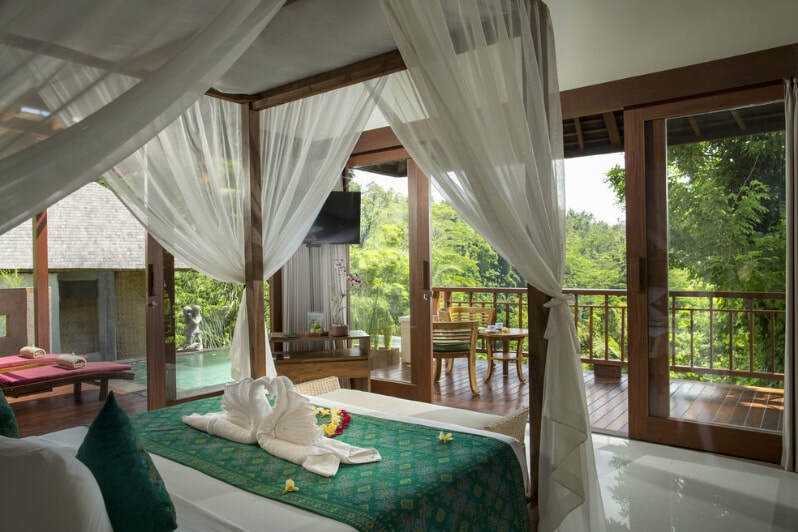 Tastefully-appointed, the Deluxe Suite has been created as restful base for you to relax and enjoy breathtaking tropical views. It exudes contemporary Balinese elegance through the creative use of hardwoods together with an earthy colour palette and elements of local artistry. 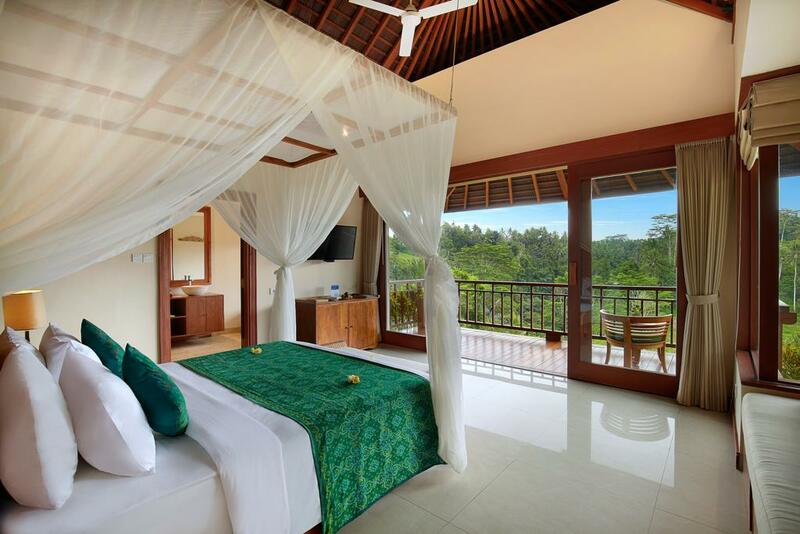 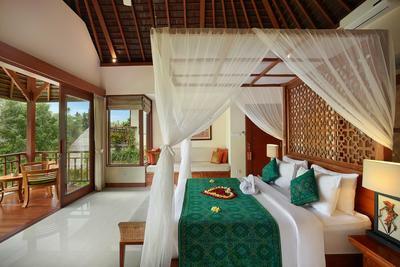 ​Tastefully-appointed, the Deluxe Twin Room has been created as restful base for you to relax and enjoy breathtaking tropical views. 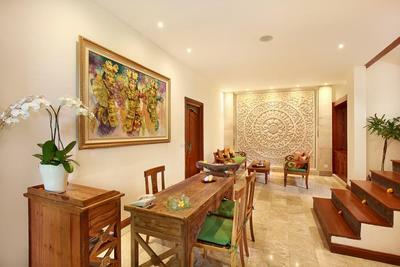 It exudes contemporary Balinese elegance through the creative use of hardwoods together with an earthy colour palette and elements of local artistry. 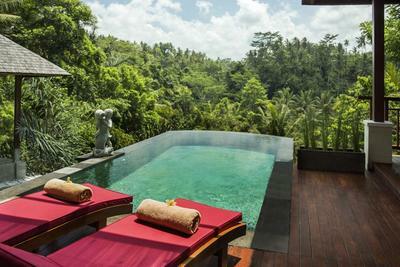 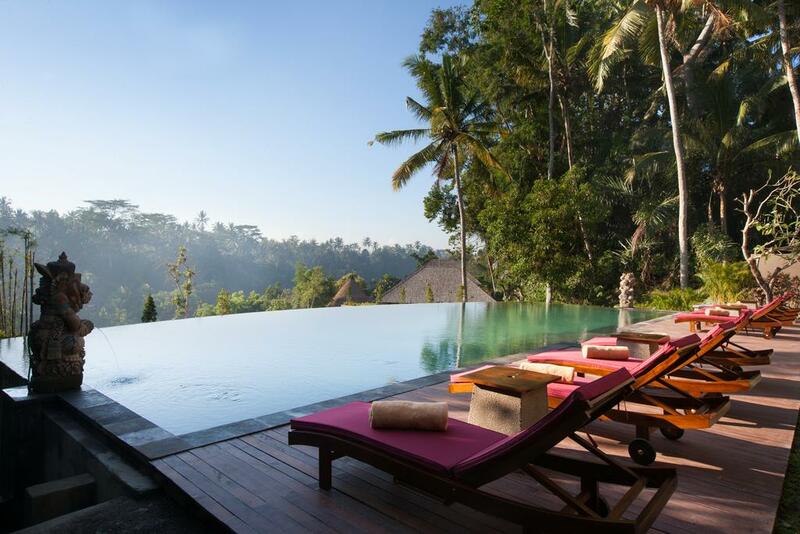 Designed in a contemporary Balinese style with an ample terrace adjacent to the infinity pool. The hotel’s 20 suites and pool villas reflect the island’s natural, serene beauty. 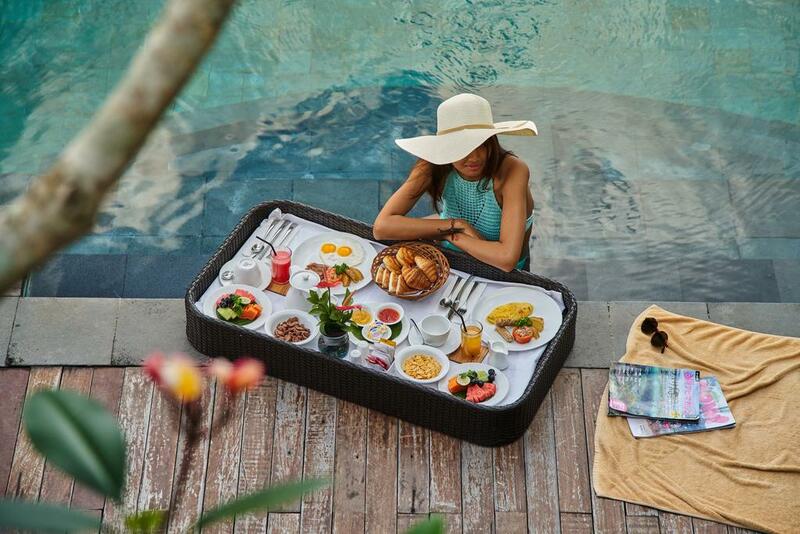 Every suite has a sense of discrete luxury, combining contemporary and Balinese décor, with signature hand-crafted furniture, exotic fabrics, open-aired dining areas and spectacular bathrooms. 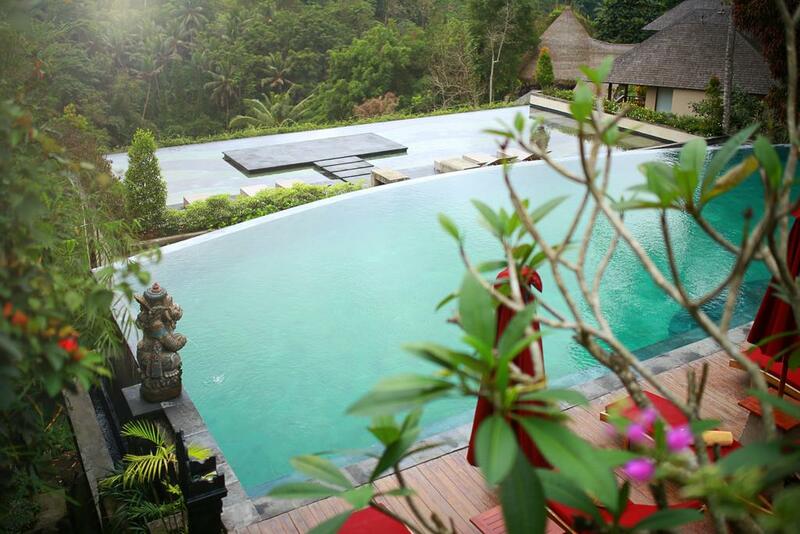 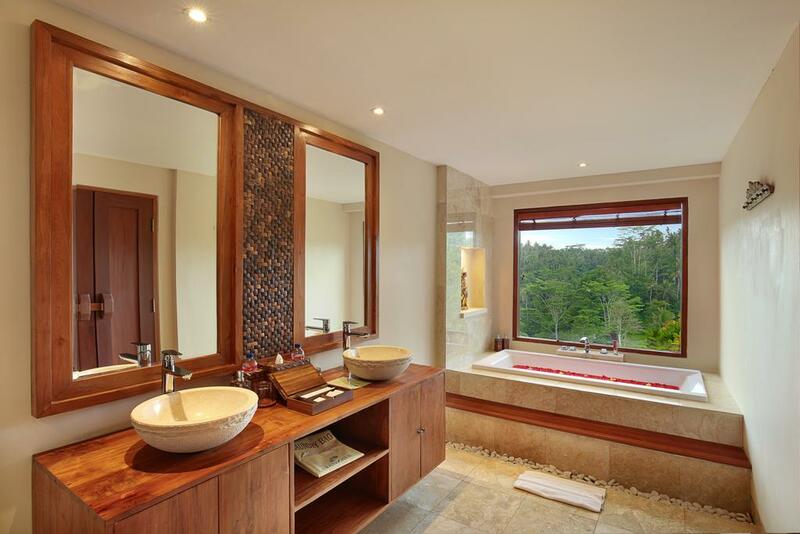 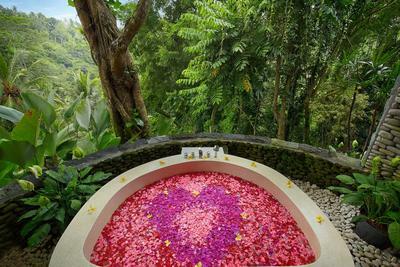 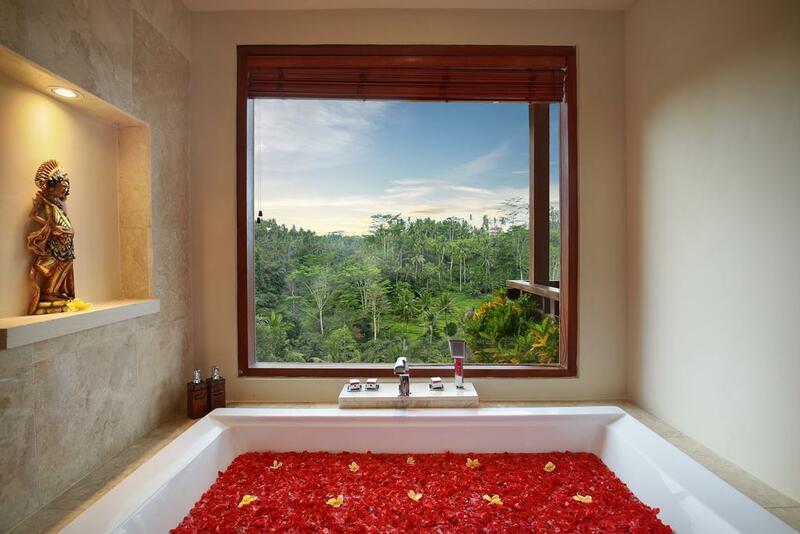 A truly luxurious experience for the senses, surrounded by the warmth of the Balinese nature. 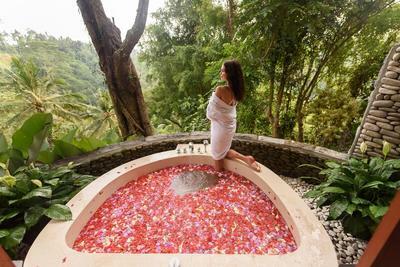 A sanctuary for the senses, Champaka Spa features a comfortable lounge area and three private treatment rooms for sessions of personal rejuvenation. 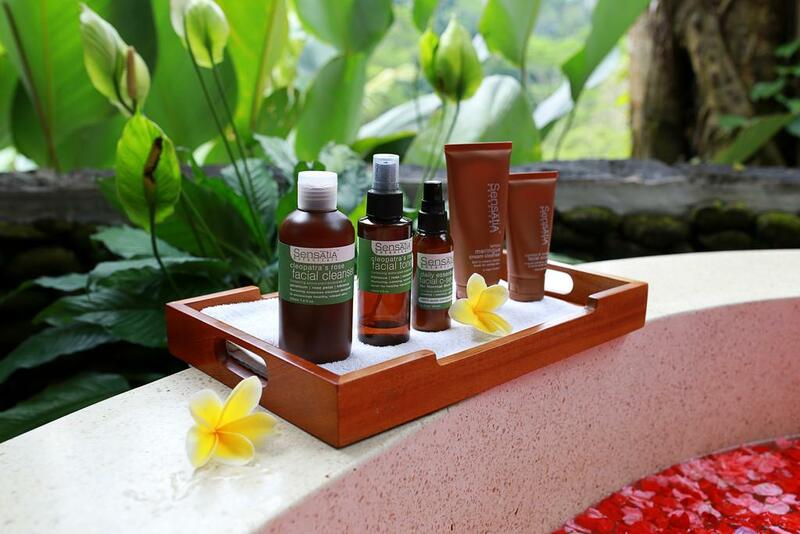 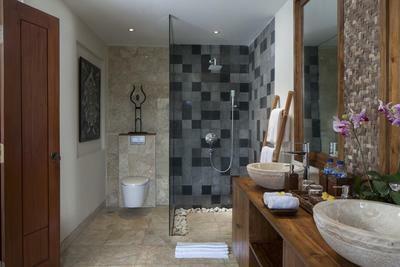 ​Champaka Spa offers a detailed menu of nurturing body and beauty rituals based on Bali’s timeless healing heritage. 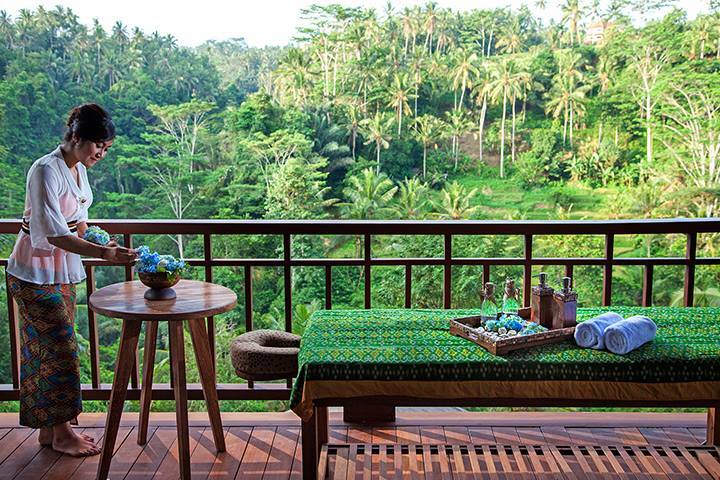 Our Yoga Pavilion is a multi-functional structure with chunky bamboo columns and a traditionally thatched rooftop. It provides a quite space to sit and clear your mind. ​There are comfortable floor cushions, simple seating arrangements and a small library of reading materials. 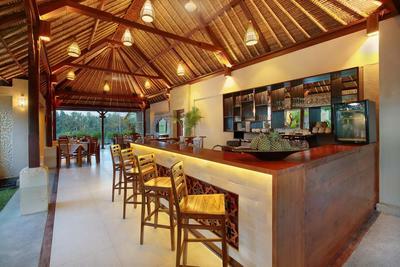 Experience the creativity and warmth of the Balinese cuisine in our romantic setting. 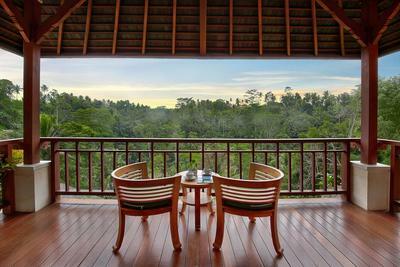 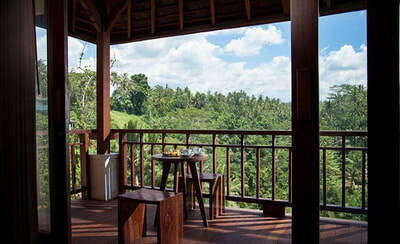 The Amateras Restaurant, with is astonishing position overlooking the Balinese rainforest and the Wo’s River. 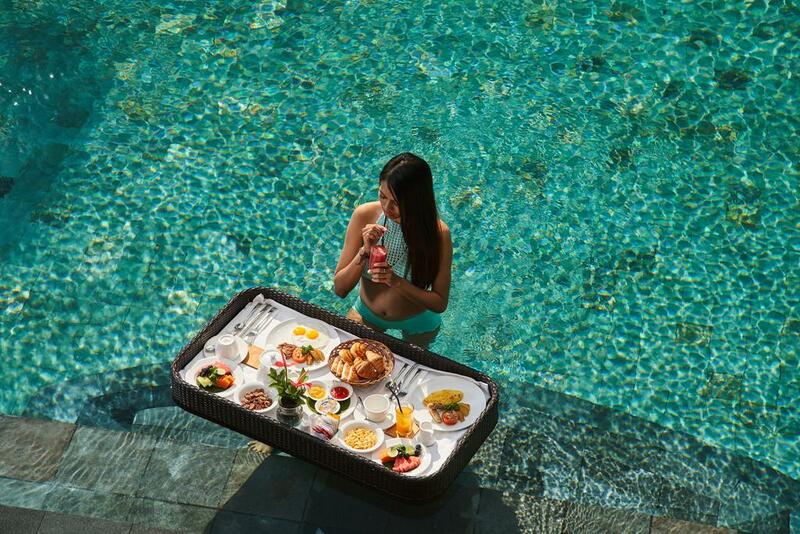 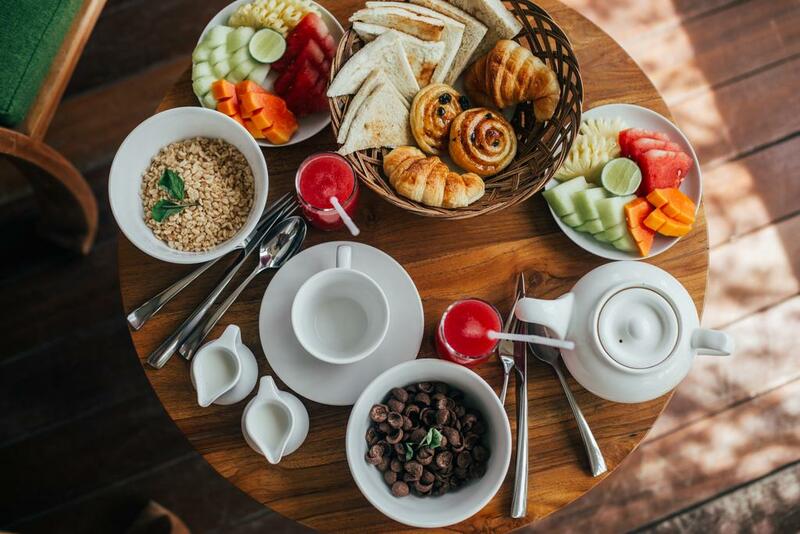 Our chefs offer a menu of international specialties, creatively combining traditional dishes with contemporary culinary techniques. 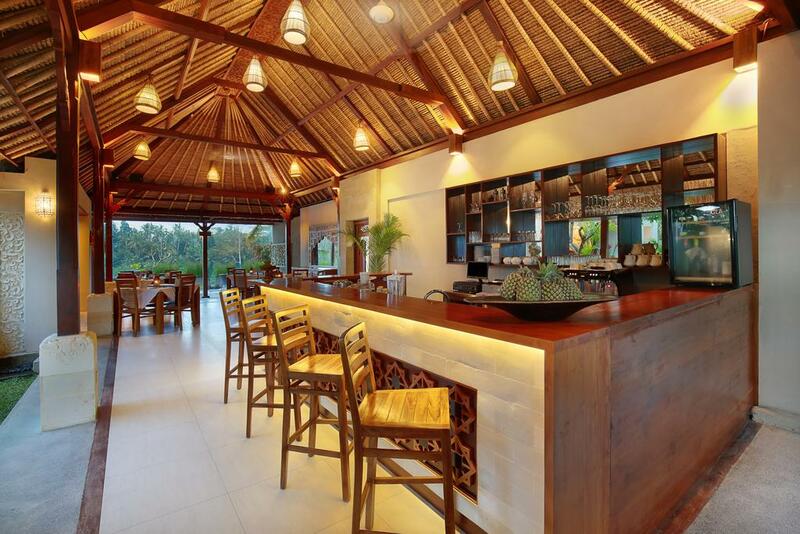 Fresh, organic vegetables, fruits, and spices are sourced from local producers. Our sumptuous meat originates from South East Asia and Australia and our fish and seafood arrives directly from Jimbaran Bay.